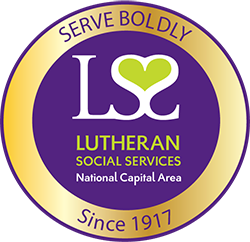 How does LSS/NCA partner with other adoption agencies? LSS/NCA is not a child placing agency. We conduct Domestic and International home studies for DC/MD/VA residents who are engaged in independent adoptions and/or international adoptions in conjunction with another adoption service provider. Because adoption is governed by state law and not by national law, residents of DC/MD/VA who want to adopt a child born in another other state (or country), need the support and cooperation of a local, licensed child welfare agency that provides adoption services. The benefit of working with LSS/NCA for your service needs is the flexibility of working with multiple placement agencies. Instead of depending on one agency to place a child in your home, you may submit applications with multiple. We can help walk you through this process. The Home Study process is similar for domestic and international adoptions. All international home studies conform to State and United States Citizenship and Immigration Services (USCIS) guidelines, and include any and all information required by the country or state where the child resides. A home study is a collaborative process designed to teach you about adoption and assess your suitability to become an adoptive parent. The home study process involves a series of interviews with all members of the household, as well as submission of documents as required by state regulations. The process culminates in a written home study report. How long does it take to complete s home study? Most home studies can be completed within two to three months. However, at times they take longer to complete (perhaps as long as six months) because the family may take more time to gather paperwork or complete their education. Additionally, sometimes certain child abuse clearances or criminal clearances take longer to receive. This is especially true for those adopting from a Hague country. On the other hand, sometimes there are circumstances (especially in domestic adoptions) in which a home study must be completed in a shorter period of time. What are post placement visits? Following an adoption placement, adoptive families will undergo a post-placement supervision period, during which time a social worker will make visits to the adoptive home and develop a report detailing the child’s and parent's adjustment to the placement. Your social worker will observe you and your child and discuss a variety of topics, from developmental milestones to pediatrician visits. The primary purpose of post-placement visits is to ensure the adoptive placement is a good fit for the adoptive parents and the child, ensuring needs are being met. The exact requirements, process and number of post-placement visits you will need to complete vary by state and country but an average of three post-placement visits is usually required. What are the fees for adoption services with LSS/NCA? A list of current fees for adoption services can be downloaded by clicking here. What are some placement agencies you have worked with in the past? Below is a short list of reputable agencies LSS/NCA has worked with in the past. Please note that we work with many agencies so if you do not see your agency on this list it does not mean we will not work with them. Fill out our adoption inquiry form and a member of the adoption team will contact you to answer any questions and walk you through the process from the very beginning. Please note, If you are looking to adopt internationally, please contact the child placing agency before starting the home study process. The agency may have requirements that need to be completed before starting the home study process.